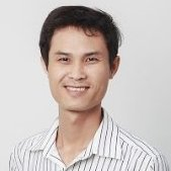 About me An Elliott Wave Trader from Vietnam. I use only wave theory as main technique to read the chart, to plan a trade and to manage positions. Looking for a breakout to buy wave C.
For the current price structure, BTC would drop more for couple of weeks. A very strong breakout of triangle would trigger a new trend and I expected it append at the last triangle corner. D1 support for bull but H1 may develop a correction. I am looking for an breakout by an impulse wave. If yes, sell the pullback. This notes for further observation on correction and expect and drop of motive wave ahead. The bearish wave may end and I looking for new revise wave. This pair looks like to form a flat. Looking for Sell on top. I expect one more bottom test before dropping or price will form a ABC. SGDHKD bull trend is over? In the correction channel, we have a chance to short this pair with low risk from now. If price breaks the channel of bull wave, I will go short. Do we have enough time to play with fullback? hi all, I expect the last wave that will coming soon for this pair. However, DYX is in bearish sentiment. We should wait for confirmation in price action to buy. Cheers, URI.